Bruno Gralpois, co-founder and principal of Agency Mania Solutions, named after his book, Agency Mania, chats with Darren on the changing client / agency relationships and the rise of consulting firms who are increasingly acquiring digital agencies to expend their range of marketing services. Welcome to Managing Marketing. We’re here in Boca Raton in Florida and I have the great privilege of sitting here with Bruno Gralpois, Cofounder and Principal of Agency Mania Solutions, welcome Bruno! Merci beau coup! Now, the first thing is, when you started your company, I think, was it eight years ago or seven years ago? I know; can you believe it? No, it seems like you’ve been doing this for ages. Anyway, when you named it Agency Mania Solutions, what gave you the idea for that name? 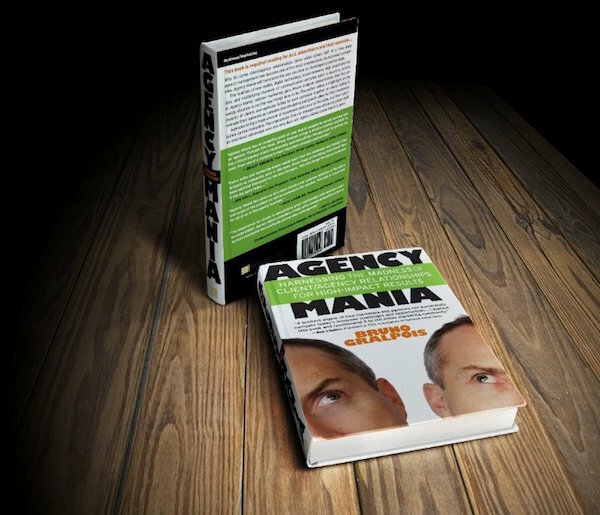 So it’s a funny story because, maybe eight years ago, I wrote the book, “Agency Mania”, so it goes back to that. That’s what I’m thinking of, the book was “Agency Mania”. Agency Mania was the book. And where were you then? So I spent ten years at Microsoft which is quite a bit of time and so I wrote “Agency Mania”. The inspiration for Agency Mania which led to us using the name for the company which is Agency Mania Solutions, was that at the time and it’s still very relevant today, if anything even more so, there was a lot of talk in the industry about the mania of client agency relations. And the incredibly challenging nature of those relationships and partnerships. The tension that sometimes exists, but also the incredibly powerful nature of those relationships and what they can accomplish together and all of these were very complicated, fast-moving, changing, complex relationships that were best captured with this concept of mania. Yeah, absolutely. It is almost manic, isn’t it? I could have called it, “Client Mania”, I chose “Agency Mania” because they already knew what you meant by that. Now you used a word there which is the tension that’s within relationships because you know, I had fifteen years as a copywriter and creative director and it used to amaze me that people would talk about the client relationship as if this is something where we hold hands and skip off to the sunset in love. For me, the best relationships I had were actually built on respect and there was a tension in it and I used to use the metaphor, “Like the oyster, creativity requires a bit of grit to irritate the oyster so it can make pearls”. Are you of a similar opinion? I am. Well, if you look in your own personal life whether it’s parents, family, you know, friends, even if you think back to your years in school, with teachers and so on, coaches, a lot of the people from which we learn and we grow from are from places where there’s a healthy amount of tension. Because you get challenged and being challenged is a good thing and clients should challenge agencies and agencies should challenge clients. If you miss that tension, you get in this kind of very comfortable state of mind and being which doesn’t really get to the best outcome, the best product. So I believe in a healthy tension. I think when people say the word, “tension”, they mean different things. For me, I mean a healthy tension which is the adequate level of challenge in a relationship that doesn’t get to be disruptive or destructive but just teases out the right amount of energy that makes you kind of wonder and question the status quo and get better work as a result. Look, a lot of people talk about curiosity as being the driver of creativity and I think you know, that’s healthy tension. The unhealthy tension is where people just stand there, shouting at each other expecting that to change an opinion. But where you can be inquisitive and ask the sorts of questions that make someone else question their thinking that could be incredibly powerful. I would be very concerned of a relationship where that level of healthy tension is not present because what you end up doing is you have a relationship where everybody agrees. What a lot of people saw in the room were a lot of people that looked alike. There was nothing in the lack of diversity, not only in terms of the demographic nature of the group and some other elements, it was mostly the very linear thinking where we have the tendency, sadly enough but it’s true, we have the tendency of recruiting people that think like we do because it’s comfortable. But that’s not where the value comes from, right? So you have to be able to have that level of tension and so when I talk to clients, I talk to them about how to create the right amount of tension in the work itself so that an agency will come and challenge the work, challenge the assumption, challenge the objective of the assignment in a very healthy way. If they do, they change the nature of the relationship from being transactional like order taking, to actually having a relationship of equality where the work itself again will pay off. I’m so glad you’ve expressed that because you know, there’s this discussion in the industry, and especially in the U.S. here about the need for diversity within agencies. And people almost treat it like, “Oh, it’s something we’re forced to do or we “should do” “, right? But in actual fact, it goes to the very heart of true creativity because out of diversity, out of difference, comes new ideas. From my perspective, diversity should be seen as an investment in the company, not a cost that, “Oh, we’ve got to have so many of these and so many of these and so many of these to meet our quota”. It has to be disruptive a little bit and I think a great quote from David Ogilvy said it best, I think he said, “Why hire a dog if you’re going to bark yourself?” and I think that was his way of saying the same thing, you know? You want to partner with an agency, or as an agency you want to partner with a client who’s going to get the best out of you. When we run pitches, there’s a number of agencies that we’ve started to call, “Male, pale and stale”, because when they turn up as a pitch team, they are male, pale and stale, you know? They are carbon copies of each other. Do you see a similar thing here in the U.S.? I do. There’s a difference between being culturally the same and being culturally compatible. I advise against being culturally the same because if you’re going to hire an agency that think like you do, act like you do, again, there’s not a lot of value there. But you have to be culturally compatible because if you’re so opposite to the agency partner you may be working with in terms of how you think, your values and so on, then it can become a little bit disruptive. Disruptive in a way that you could be less productive and you may get hung-up or stuck into issues that are counterproductive, so you have to find the right balance. Yeah, look, I see agencies that try and mimic the client. You know, they’ll phone me up and say, “Who’s going to be there from the client” and then they try and match and it just comes across as contrived. I mean, what you really want is chemistry to happen and not be manufactured because ultimately that’s how it does happen. But the big thing that’s happened over probably the last eight years or longer since you wrote your book, is that I just feel agencies are becoming more subservient and more service driven than they are actually as trusted advisors or valued advisors. A prime example of that for me is when people talk about account service as opposed to account management. That’s an interesting thought, yeah. Right? So first of all, have you noticed that? And secondly, what’s the driver of this power shift that’s become very obvious? Well first you made a good point. The way I see it clearly in a marketplace is the distinction, the commercial interest, that thing that gets in the way of and perhaps is connected to these subservient relationships. You see these very big holding companies which are publicly traded companies who have shareholders to satisfy and earnings which they need to make and so I think they compromise a fair amount because those relationships are so critical to their longevity and their success commercially. You don’t see that as much with the smallest independent firms that want to maintain the integrity of their creative product and they’ll say, “You know, we don’t like you” and they’ll be the first one to resign a client. So when was the last time you saw an agency resign a client? It doesn’t happen very often and I think those who do tend to be the small guys, they’re not the big guys. Yeah, they’re the independents where the owner is making the decision because you know, a principal, it was Bill Burnbark said, “A principal is only a principal when it costs you money”. 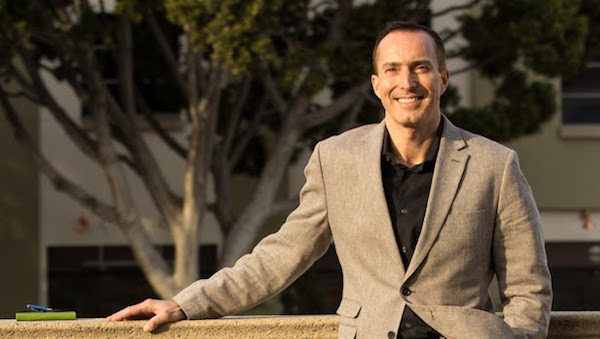 So as an owner of an agency, you can fire a big client because they’re actually destroying your agency, but if you’re in a holding company and you’re way down here in some regional market and there’s four layers from you to the shareholders or the global CEO, there’s no chance in hell of actually standing up for what you believe in. And we’re seeing that a lot. It’s also impacting on client trust in agencies. Because, under the old commission system where we never talked about money, if an agent, client said, “Well I want you to crawl over broken glass and kiss my feet”, they’d be down there for their 19 and a half percent to do that. Or they’ll send someone else to do it for them. They’ll hire somebody. I’ll outsource it and I’ll mark it up and so the whole trust thing is gone, you know? There’s this sense of, “Well, you’re really not here for me and it’s all about the money for you”. I’m interested in your perspective on transparency, I know you’re the one who’s asking a lot of the questions but you know, there was a lot of talk at the conference and I think for the past couple of years around this concept of transparency and trust. The trust had been shattered I think in many ways, most recently because of all the media discussions about the black box that’s programmatic buying and the rebates that nobody really fully understands. So it’s taking us back I think, you know, in many ways. So I’m curious what your take on it is. I have a very strong view on this and it’s got me into trouble a lot. I say this is all caused by marketers and the reason I say that, and I had an argument with a couple of my clients, very large clients, marketers, I said, “The fact that you started shopping around to get the lowest price rather than valuing the work that was being done, has driven, especially the media agencies, into a position where they want the work because they have to report the money back, but they have to also make profit. It’s not just about revenue, you have to make margin and profit. You’ve got to remember, say the client’s there with 100 million dollars to spend in media and they screw the agency down to getting just 3%. So they get 3 million dollars for investing 97 million dollars. Well that 97 million dollars is going to go to a media owner who has already budgeted somewhere between 20 and 80% in sales support which is another way of saying, kickbacks and fees. Now three people in this bed, you think you’ve got the hundred million so you think the agency should do what you say, but over on the other side of the bed is someone that’s got between 20 and 80 million to incentivise the agency to shop with them. Where is the loyalty going to lie? The clients have created that environment. They’ve driven this whole focus on cost at the expense of value, which has driven the agencies into moving. The ménage au trois is suddenly moved from the primary person with the money being the advertiser to the media owners. That’s my opinion. There’s more French in you Darren than you may even know. That was before Bruno told me. It’s an interesting perspective but I think…. What do you think has undermined trust? There are a couple of things. So first I agree with you in the statement you made around how the way we set up those relationships sometimes gets in the way of feeling trust. The revolving door around agencies and bidding for the cheapest of the suppliers type of approach has really undermined again the trust in the relationship, so I totally agree. I think it was interesting to listen to Michael Roth from IPG yesterday, because he did mention something which I think in the case of IPG makes it a little bit easier for them to have that discussion compared to all the other holding companies. They play this role of principal and agent and clients are looking and saying, well you’re buying inventory, you’re reselling it to me and you’re using software. The way I think about it is, that’s okay for programmatic buying, this black box that clients don’t fully understand and is costing them money but they didn’t understand how it works and what they’re buying. I think it goes back to the way I think about casinos; when you walk into a casino and you sit at a machine and you start putting your coins in the machine. This software, it’s all digitalised right, this software is running some algorithm that says here’s your odds and here’s when you’re going to lose and win. You trust or you don’t. The casino has the best intention and you have a chance to win and I think a lot of it is the same. When you don’t understand the sausage making process. What you don’t understand you are inclined to not trust. And fear, yeah, totally. So I think that’s a big part of the issue. Okay. Because I think there’s some really fundamental things and because I actually read “Agency Mania”, a lot of what you were saying is that it is about clear, open communication in quite a structured way. Now, that’s a fair summary of the sort of philosophy of how to manage and work with agencies, you know? How has that changed if at all, or are those same principles still or more relevant now than they were before? I think they’re more relevant now. I don’t think they’ve changed. The principles don’t change. I think the environment, the context has changed drastically. I think the complexity of the world that we live in from a marketing perspective but even from an agency perspective is ten-fold what it used to be. The principles are even more valuable because without those principles, without those guide posts, you get lost into perhaps, operational issues where you lose sight of what truly matters which is the open communication, clear communication, having transparency around your goals and how you’re going to be collaborating with your partner and achieving those goals, having a sense of mutual accountability and respect and making sure that’s carried around everything you do. The way you do your contract, your commercial terms, the way you negotiate your compensation, the way you do performance evaluation. All those elements which are essential, they are the building blocks of making this relationship work. It has to be done with the right set of principles. So when I wrote it, it was my intent, and you having read it, you can appreciate that I wanted to really get the perspective of a lot of people on the client side, a lot of people on the agency side, I wanted this to be really a two-way conversation like we’re having today. I think you and I have very similar views on a lot of these things and I wanted that conversation to be seen from two perspectives. From the client and the agency. Exactly. And making sure that perspective and that understanding is there because that’s a foundation I think of a good relationship and I will tell you, these events like we are at, the ANA AFM, I think are helping to close the divide. I do, I’m a faculty member of the ANA so I go and teach agency relations to a lot of different ANA members throughout the United States and my goal is really to help them understand when I talk to them, how the agency business works, how they make money, how they think, how they organise, their raison d’etre you know. 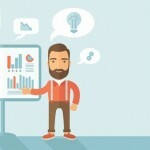 There’s some fundamental things you need to understand as a client. Reversely the agencies also need to understand how clients think and different organisations have very different missions, different ways of thinking. Different cultures, different ways of organising themselves and you have to be able to be sensitive to that. The agencies in that case often times don’t really have a choice, they really have to embrace it and understand it but it has to be both ways because from that mutual understanding comes mutual respect and better communication. Yep. And also being able to align each other to the common goal and the way of working together. Sometimes it’s enough to have a common goal, but often, you actually also have to have an understanding of common process because it’s those points of interaction that actually make a relationship or make it fail. We use collaboration a lot and in the last two days lots of people have been talking about collaboration. They said, “Collaboration requires; shared goals or objectives of all parties, all parties sharing in the value created and a high level of mutual trust”. Now, when I look at agency/client relationships, they can have two of three but the one of sharing in the value created is the one that very rarely happens. You’re right. You can define value differently, clearly, and that’s usually where the complexity comes in. But if you think about it in terms of mutually benefiting from the relationship, we see a lot more of these incentive based compensation programs. I would say one hundred percent of the clients we work with have some level of incentive compensation structure with some of their agencies or all of their agencies if there is some time by discipline. What’s interesting to me and you’ll appreciate that, when I talk to clients about the value of incentive based compensation, when I talk about it, I talk in the context that’s sometimes different to what you would expect. A lot of the time, we look at performance based compensation as a way of enhancing performance rather than collaboration, so I’ll come back to collaboration. The second, we think, “Oh, if I pay my agency more for the work they’re doing, if I reward them for great work, they’ll work better”. I’ll get more; I’ll get better work. There’s a flaw in that, isn’t there? Yeah, it might happen to some degree but I think the reason why incentive based compensation works is for the simple reason that it has to be about collaboration. It’s the moment an agency sits at the table, you have shared the objectives and they start questioning the assumptions that you’re building into your program before the work even gets started. That is the moment where you realise the value of that incentive based compensation. It’s not about them doing their job better, it’s about them bringing to the party a perspective that could improve the overall performance of the program. That’s why I like what you said about collaboration and shared goals and objectives because I think, that to me is where the value is realised and it’s early on; it’s not at the tail end. But I think some clients fail to understand that and so the compensation structure sometimes is not mapped to really encourage that behaviour. So the best performance of value based compensation we put in place was for a company that sold and installed solar panel electrical generation. They thought that they were a retailer but in actual fact it was direct response and we moved their media agency from commission to a fee per acquisition. In the process in doing that, we increased sales per month by 250%. Because suddenly, the agency was sharing in the value that they were creating in a direct way. Now it works in a direct response area. So Darren, let me ask you this. If it’s common sense, why is common sense not more obvious? Because it’s not that common. Common sense is the sorts of things that when people see it they say, “Oh that’s obvious, that’s common”, right? But in actual fact, it takes a huge leap of faith or trust that everyone’s going to operate in the best interests of each other and I think one of the things that annoys me about the holding companies is the way the media publish their performance. Their revenue growth, their profit growth, some may say, exorbitant bonuses paid to some CEOs of holding companies, because what that actually reinforces every term, every quarter that they’re reported from a marketer’s point of view it goes, “Well that’s my money”. That’s my money that I’ve been giving you. It ends up in the pockets of these people and the shareholders whereas they have a very one to one personal relationship where they’d like to think that it’s actually going to the staff that are working on their business. Listening to what you said about the perception from brands, about those agencies and that what they’re doing in terms of compensation or their investment or even their M and As, their mergers and acquisitions, is somehow their money. I wonder how much of that is coming from the mad men era where there was perhaps so much abuse that I think we’re seeing the tail end of this kind of perception which is stuck with agencies. When you know agencies, how many of them are struggling to hire great talent, to service a calendar where they’re supposed to be, I think we may be hurting to some degree, we’re hurting ourselves, we’re shooting ourselves in the foot I guess to some degree by limiting our agency’s ability to bring the best talent forward. Because a lot of the conversation that is happening right now is about zero based budgeting and comms shrinking budget and putting a lot of physical accountability on the table and we are reducing expense and PNG and all the big guys have made the announcement in that regard. So it’s creating pressure in the system clearly and is that pressure healthy? We talked about tension of the work but is the commercial pressure or tension healthy really? And is it really getting to the right outcome? A good example is working with a dairy company and they had a creative agency and a media agency and a digital agency and they were all on separate remuneration and separate bonuses. 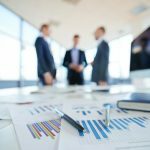 We talked to the CMO and got the agency management of all three agencies into the room and we agreed, we actually went with the CMO’s own KPIs and he had six of them. Two of them were internal, you know, like talent retention and something else. But four of them, there was brand health, there was volume, there was market share and there was margin. So there was three business metrics and one marketing metric. So they were equally shared amongst all of the agencies involved. The bonus was actually funded out of COGS, cost of goods sold. So instead of coming out of the marketing budget, it was funded separately and could grow and shrink as per those KPIs and they all shared in it equally. It wasn’t the amount of revenue because if you link bonus to the amount of revenue, you’ve just created another reason for each agency to want to get more revenue through eroding each other’s – no one did, but you could technically sit there as an agency and go, “No, no, no, we don’t need to do any of our stuff”, and still get the bonus. Right? So it actually took away the incentive to erode each other. And then the third part was once we worked out the size of the pool, we’d do a survey amongst all the agencies and the clients to see how well everyone worked together and contributed, how well did they collaborate. That score actually adjusted their share of the pool. So if there was one agency that was quite dominating and didn’t listen and bullied the others, they would be losing their share of the pool. So we had performance, direct performance and collaboration built into it. Now, the marketers said they loved it because every meeting with every agency started with; “How’s our brand health? How’s the volumes? How is this going to help our share?” You know, everyone was talking about the same KPIs. I like it. I like it. I mean, it certainly changes the perspective coming into the relationship and what matters. And I think that’s the big thing, are we focusing on what matters the most? And how do we get your agencies to think that way? But I think that’s a perfect example of how you can shift. Use the money to actually be a true incentive of the behaviours you want to encourage. Because otherwise you’ve got money working against what you’re trying to achieve and lowest price, no one in the history of mankind has managed to cut their way to success. All cutting costs does is stop you going backwards faster. Yes, that’s very true, very true. Look, this has been a fantastic conversation. Merci! And we’ll speak soon!